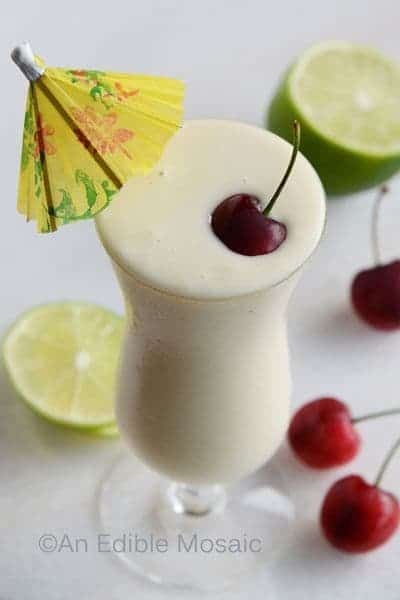 An instant vacation, this Pina Colada will transport your taste buds to a tropical island without having to pack a bag or book a ticket. Feel free to indulge any time you need a break from reality. 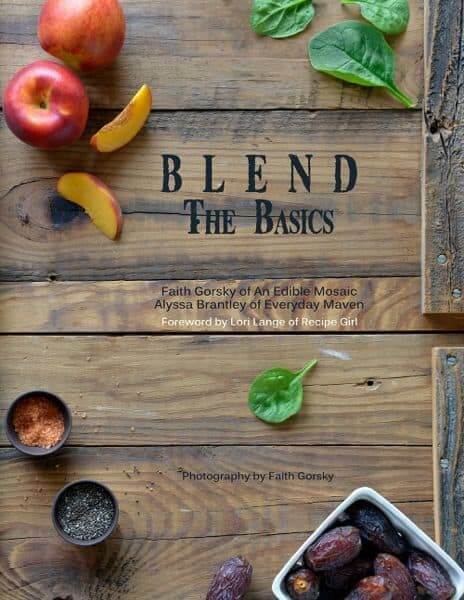 My love for smoothies is no secret so you can imagine my delight when I was asked to review BLEND, a new smoothie recipe eBook launched by my dear friends Alyssa from Everyday Maven and Faith from An Edible Mosaic. 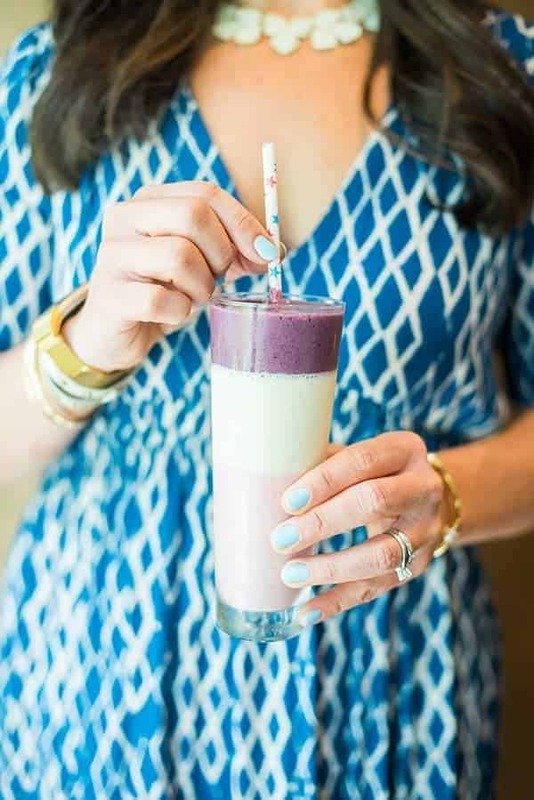 BLEND has been a labor of love for these two fellow smoothie-obsessed food bloggers whose common interest in artisanal smoothies and a shared desire to elevate smoothie-making. For the last year and a half, they’ve been developing recipes, photographing them, and of course, refining the flavors until they were just perfect. 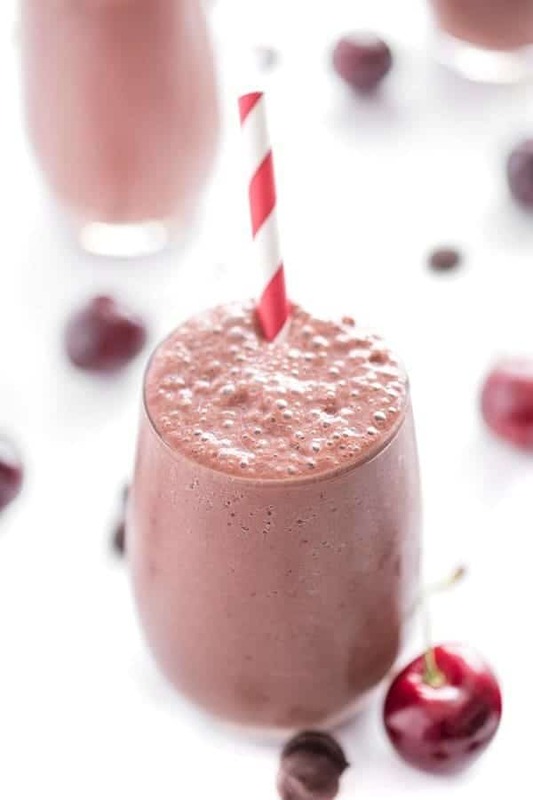 Blend: The Basics gives tons of tips and tricks to help you make the most of your smoothies, including how to wash fresh produce, flash-freeze fruit, make sure your smoothies come together as quickly as possible without sacrificing their artisanal flavor (including info on how to put together a “smoothie kit”), and much more! Blend: Artisanal Smoothies for Food Lovers, Summer Volume 1 is a compilation of 25 summer and fall-themed smoothies such as Gingered Apricot, Minted Strawberry Melon, Vanilla Fig, and Concord Grape + Greens. As you can see above in the Table of Contents, the smoothie recipes are divided into four brilliant categories: Indulgence, Fruit, Green and Coffee + Tea. I’m not sure about you but I plan to drink my way through this entire book. 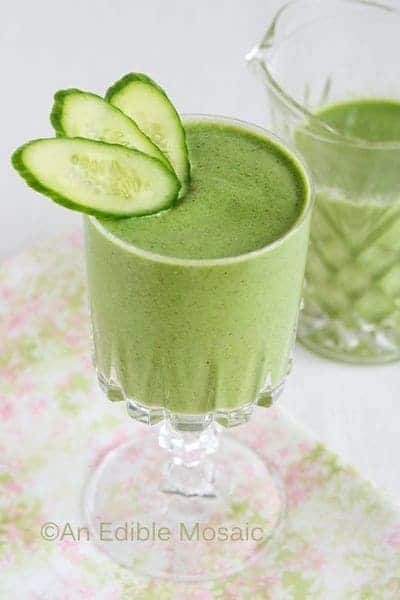 There is literally not a single smoothie that I don’t want to try… including this Sweet Green Goddess. 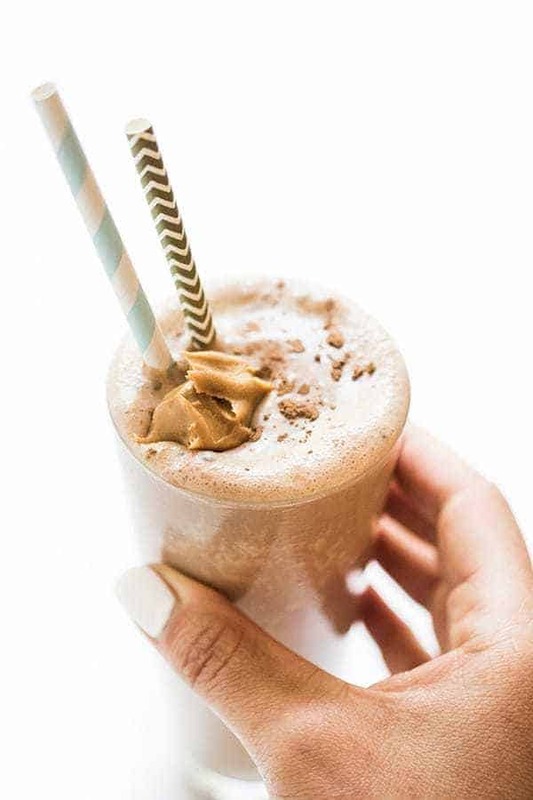 Another reason I love this eBook is because practically every single ingredient plant-based and full of vitamins and nutrients. There are no artificial sweeteners, chemicals you can’t pronounce or creepy fillers that you often find when you purchase those gigantic $6 smoothies at fast-food chains or in mall food courts. Instead you find simple ingredients such as seasonal fruit, spices or natural sweeteners which are readily available and easy to find. Additionally, all recipes are gluten free, dairy free and vegan in most cases. Another perk: no smoothie requires more than 5 minutes of your time. After all, the glory of the smoothie is the fact that it comes together in minutes to fit our hectic lifestyles. To help make this happen, BLEND: The Basics walks you through topics such as Blend Layering, How to Tell When Fruit is Ripe I Storing Fresh Herbs. Since I’m 6 months pregnant and desperate for a cocktail, I decided to get my fix with this rich and indulgent Pina Colada Smoothie. The best part? It is 100% guilt free. An instant vacation, this Pina Colada will transport your taste buds to a tropical island without having to pack a bag or book a ticket. Transfer to a serving glass and top with a cherry if desired; serve. 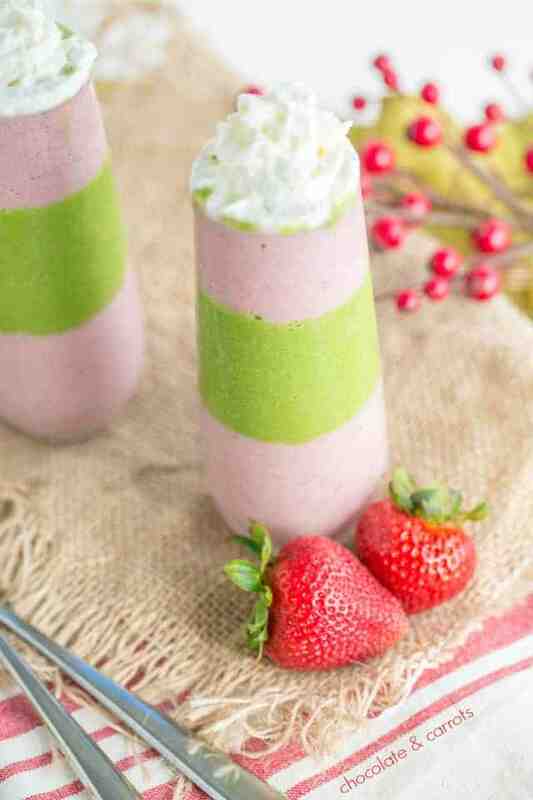 To make this smoothie green, add 1/2 cup baby organic spinach. For an even brighter citrus flavor, add 1/2 teaspoon lime zest. 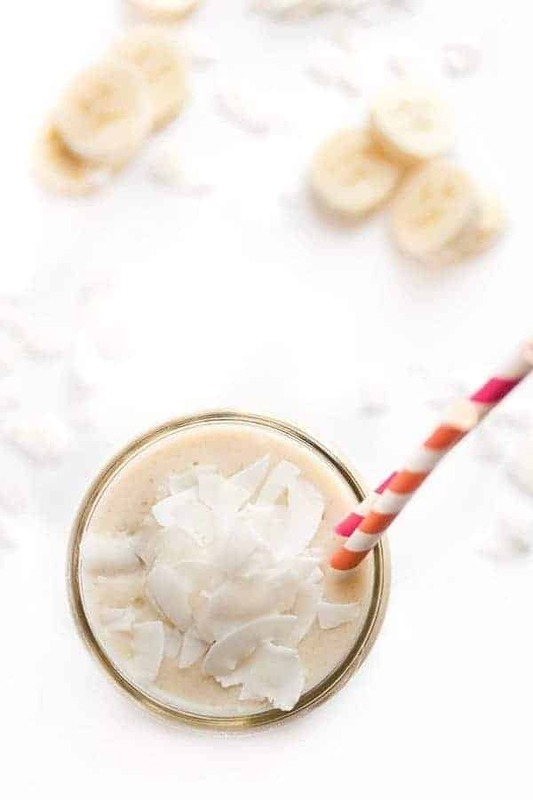 For a lighter treat, substitute half of the canned light coconut milk for plain, unsweetened almond milk. For a treat that's closer to soft serve ice cream, use canned full-fat coconut milk instead. I’d first try Almond + Joy!